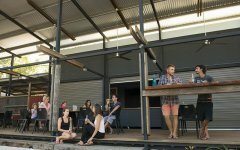 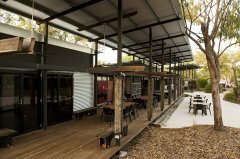 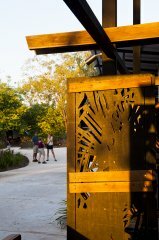 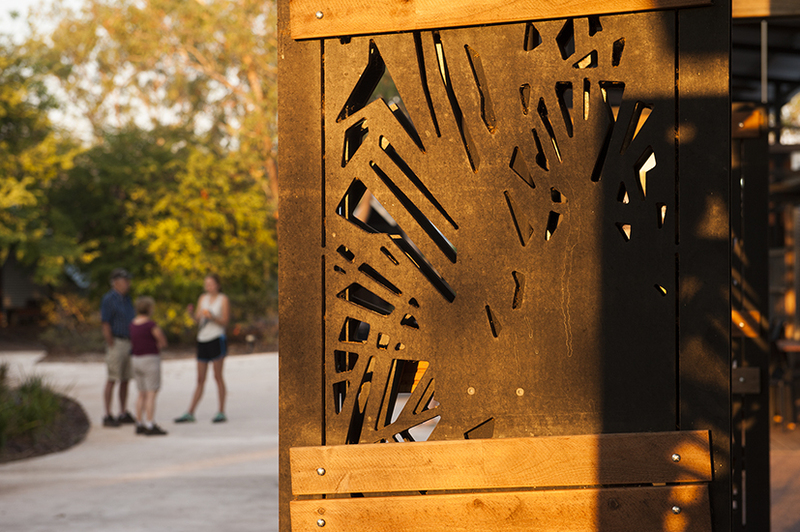 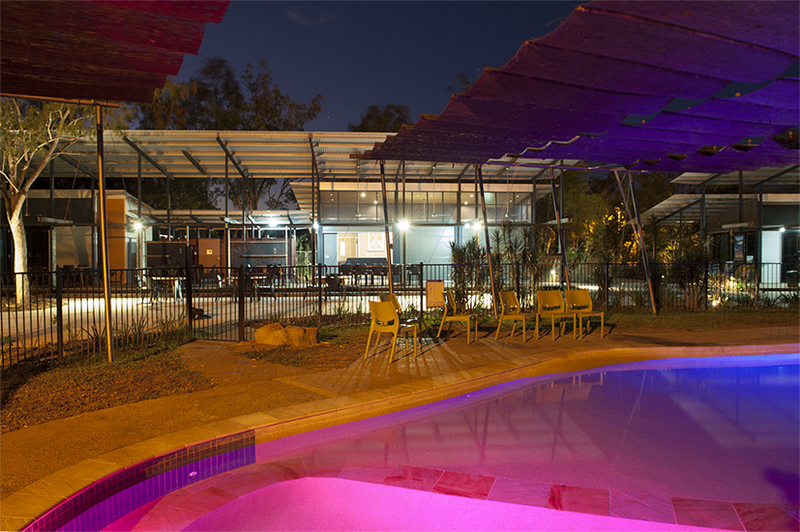 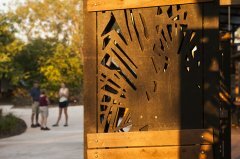 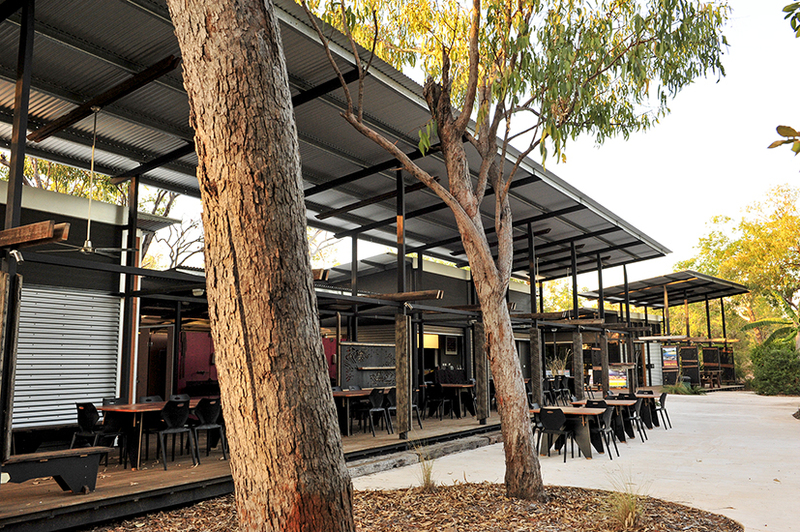 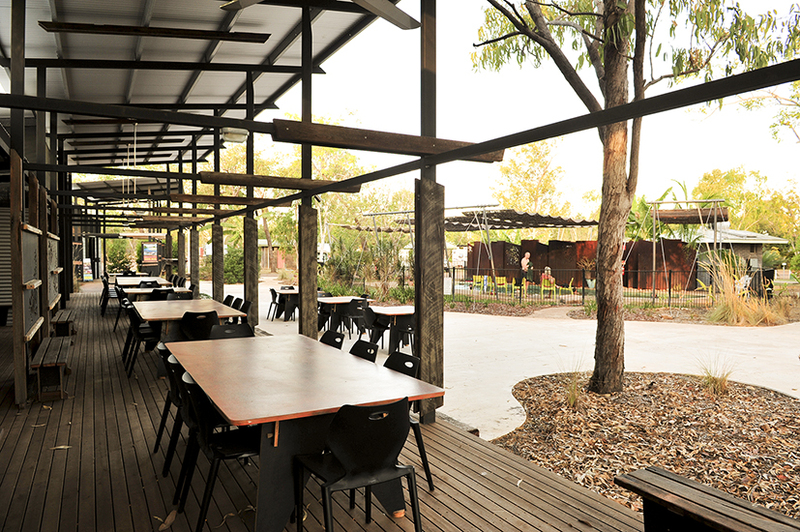 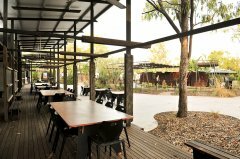 Anbinik Kakadu Resort offers guests a seasonal Cafe/Restaurant and catering facilities adjacent the newly constructed Troppo Architect designed conference room. 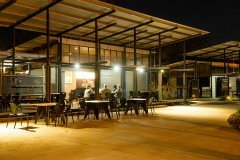 These new facilities provide a central location for groups to hold meetings, exhibitions, workshops and parties. 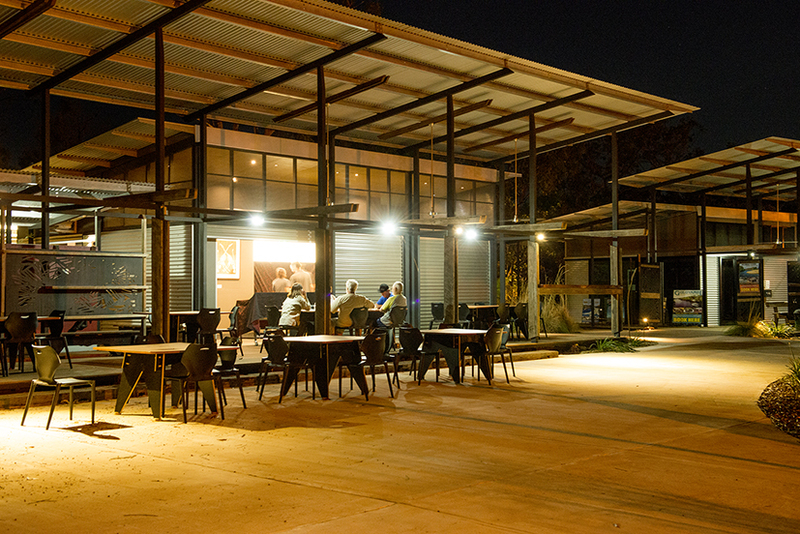 Outdoor covered meeting area is available to all guests. 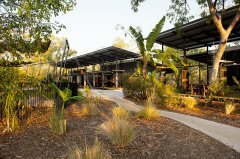 Covered outdoor area is availabe to guests. 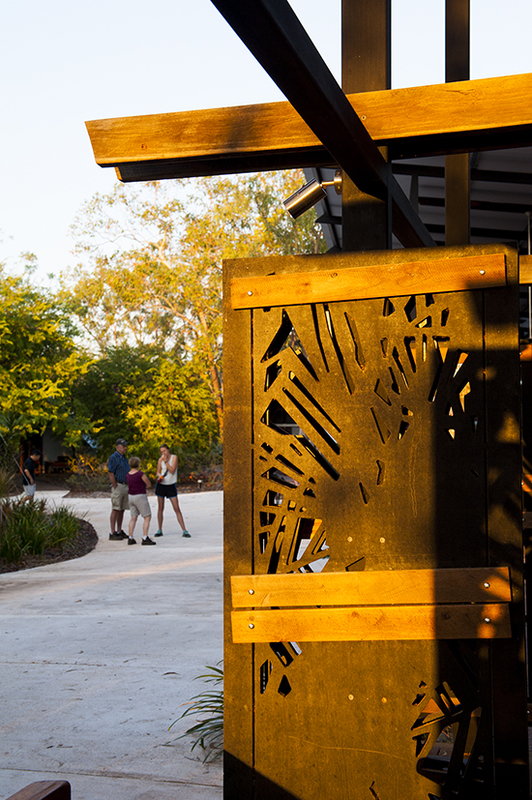 Architectural features, colours and textures are based on the local environment. 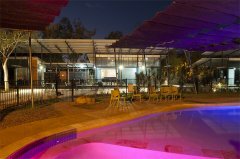 AKR swimming pool with cafe and conference area.